From the year 1993 to 2016 Warren County, VA Habitat for Humanity (WCHFH) was an all volunteer 501(C)(3) Non-Profit Organization in Front Royal, Virginia. In 2015 the Warren County Board of Directors tasked themselves with bringing a Home Repair Program to homeowners living in Warren County, VA. In 2016 WCHFH hired an Executive Director to lead the organization in building capacity and bring more Affordable Home options to Warren County residents. Thanks to the dedication of our very first Executive Director the WCHFH was able to successfully launch its Home Repair Program in 2017. Though our paid staff is still only one person, we have many dedicated Volunteers that donate thousands of hours a year to help keep this organization running. The WCHFH Board of Directors plans to continue building capacity in the future by hiring additional employees with in the next three years. Warren County, VA Habitat for Humanity Board of Directors is a group of elected, dedicated individuals that broadly represent individuals and businesses in Warren County. This group sets policy for the affiliate, coordinates building efforts, leads fundraising efforts and much more. Election of new board members occurs annually. A nominating committee actively recruits individuals interested in serving on the board. 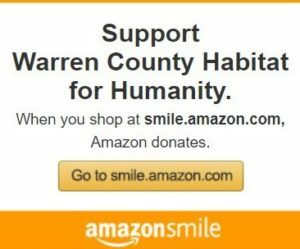 Active engagement in accomplishing Warren County Habitat’s mission and fundraising goals is a requirement for all board members. Looking to fill a vacant seat? If you are interested in applying for a vacant seat on the Warren County Habitat for Humanity Board of Directors, please contact us today!